Seven regular season games are scheduled for Friday, Saturday and Sunday. 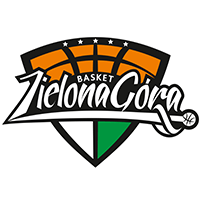 Zielona Gora: The League newcomers are trapped in a seven-game skid that has dropped them to second-to-last place. But the season is far from over. Zielona Gora has played the fewest games of any team in the League (11) and a couple of wins could re-insert the Poles into the playoff chase. With back-to-back home games against PARMA (11th) and Enisey (10th) the time to strike is now. 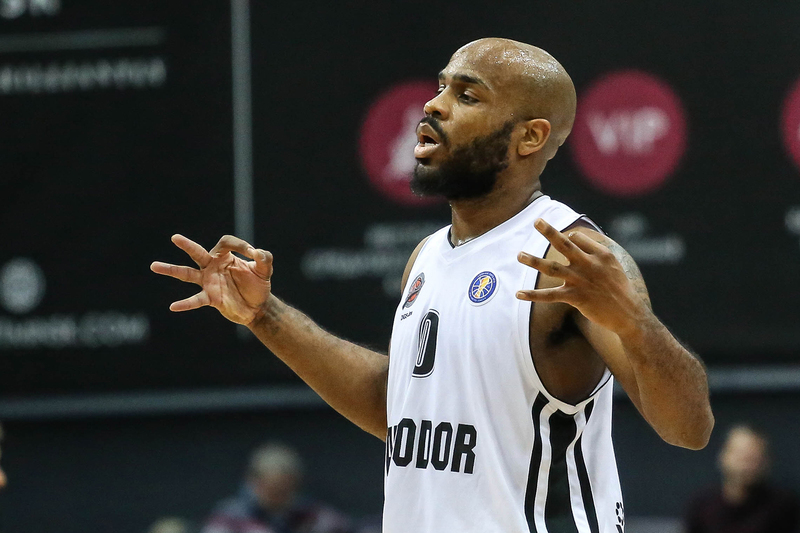 PARMA: PARMA dropped its third in a row to Avtodor. One of those losses was the double-overtime thriller vs. Nizhny Novgorod, but PARMA never really had a chance vs. Avtodor and Zenit. Playing Zielona Gora, however, PARMA will be a slight favorite. Perm is a better rebounding team (36.3 vs. 31.4 per game) and dishes out more assists (Zielona Gora is last in the League, averaging 15.5 per game). Plus, PARMA recently signed a player–Ken Brown–who should help on offense. Avtodor: Saratov has only lost one of its past five games, erasing memories of its slow start and lifting the team into 7th place. 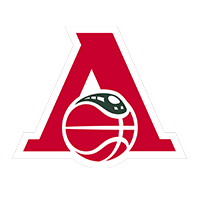 Saratov continues to boast the League’s second-best offense (89.2 points per game). Saratov almost always wins when it scores more than 90 points, the only exception a 99-95 defeat to Tsmoki-Minsk. Lokomotiv-Kuban: The Railwaymen are one of four teams giving up fewer than 80 points per game. Saratov has already played the other three teams–Khimki, UNICS and CSKA–and struggled against all three on offense. 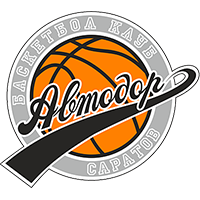 Lokomotiv’s fatigue, however, could work in Avtodor’s favor. The Red and Green won a tough road game in Germany on Wednesday vs. Ulm, playing without Kulagin and Fall, while losing Jamel McLean to injury. 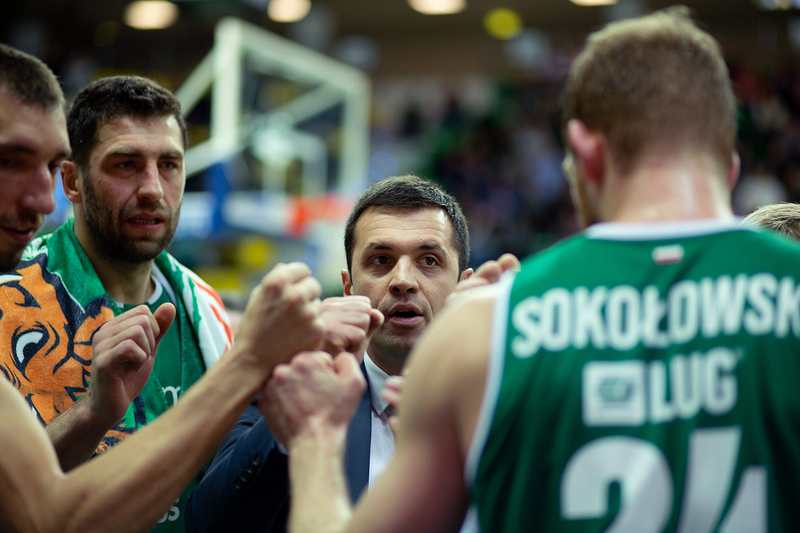 UNICS: On the same day that Loko played Ulm, Kazan dismantled Cedevita in the EuroCup by 35 points. 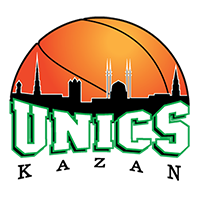 UNICS has faced a much tougher road in the United League in recent weeks. Four of UNICS’s five previous games were decided by 2-4 points, with the only defeat coming against PARMA. 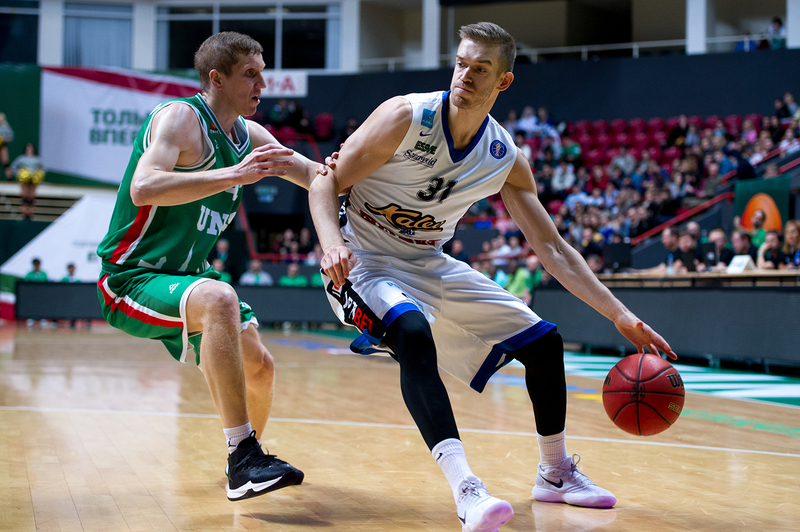 Kalev: Tallinn has already won six games, matching last season’s total, and sits in 8th place. Despite not boasting the same depth and star talent on its roster, Kalev ranks in the top five on offense (84 points per game) and 1st in blocks and steals. Kalev’s other defensive numbers are not as rosy, but that is largely explained by the team’s four blowout losses, in which they surrendered 100+ points. VEF: After a string of defeats, VEF broke through vs. Zielona Gora, displaying its best defensive performance of the season by allowing only 57 points. The win allowed VEF to escape last place and move into 12th. There have also been some encouraging signs on offense, but Riga continues to struggle knocking down shots, ranking 13th and 14th in two-point and three-point field goal percentage, respectively. On the other hand, Saturday’s opponent is not known for perimeter defense, so expect VEF to try to take advantage. 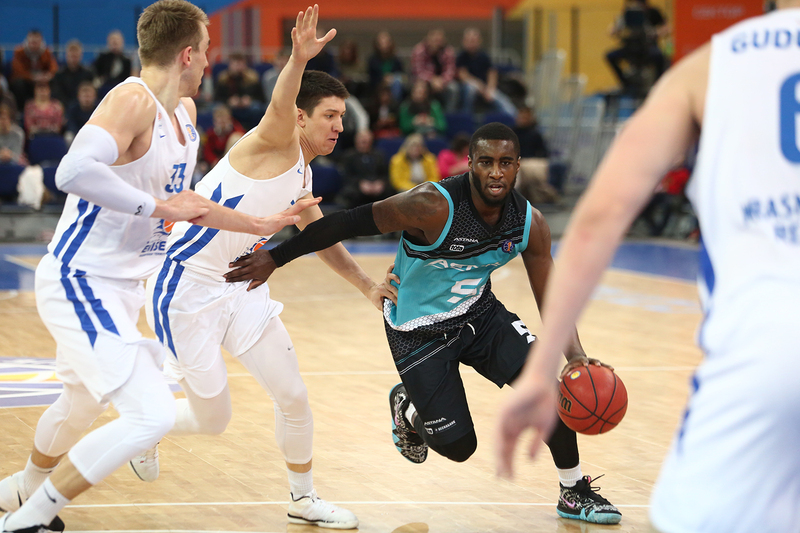 Nizhny Novgorod: The Volga club put together a terrific three-game winning streak, which included wins over Astana and 2nd-place Khimki. But fatigue (Nizhny has one of the busiest schedules in the League) and a limited rotation eventually caught up with the team. 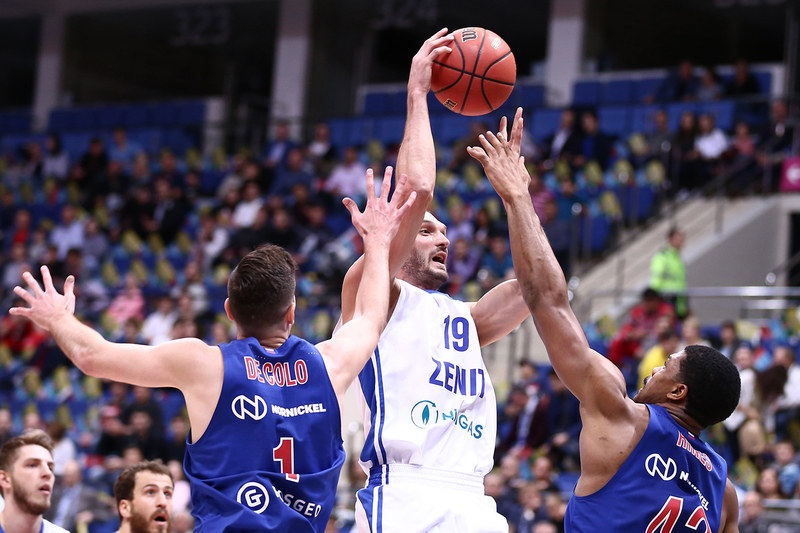 Nizhny Novgorod’s defense crumbled in the second half vs. Zenit, before letting a win slip away vs. Banvit. 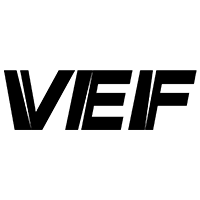 VEF, despite its current record, has typically given Nizhny Novgorod trouble. The Russian club has not defeated Riga since October 2017. We should also mention Nizhny’s free-agent acquisitions: forward Ian Hummer, who has previous experience in the League and young Russian guard Timofey Gerasimov, previously with Loko. Enisey: Oleg Okulov’s men are dangerous at home, where they have snagged three of their four wins. 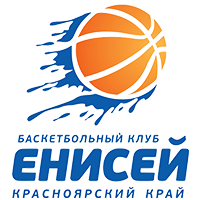 Enisey last played in the League two weeks ago, January 6 in Kazan, giving UNICS a big scare before losing by three. Astana would be foolish to underestimate Krasnoyarsk, even if the team is not ranked in the top-eight. Astana: Astana was on the verge of breaking into the top-three before back-to-back losses dropped the Kazakh club to 5th place. But Emil Rajkovic’s men still only trail UNICS by three wins and played even with Kazan for 40 minutes, proving it can compete with the best teams in the League. In Krasnoyarsk, Astana will try to live up to its road-warrior reputation, with only one loss so far this season away from home (vs. Nizhny Novgorod). 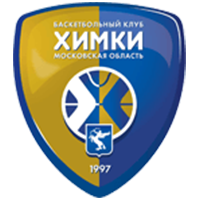 Khimki: Moscow Region has not shown much consistency, alternating impressive wins and disappointing setbacks. After taking down Zenit with ease, the Yellow and Blue got blown out by CSKA. Khimki was awful on offense vs. the Army Men, turning the ball over 21 times and shooting 16% from beyond the arc en route to scoring 65 points. The team’s never-ending injuries are largely to blame, of course, with Sergey Monia, Egor Vyaltsev and Tony Crocker joining Anthony Gill and Alexey Shved on the disabled list. 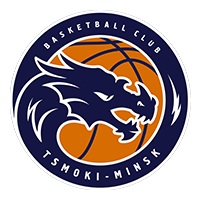 Tsmoki-Minsk: Khimki’s fatigue due to a limited rotation could work in Minsk’s favor. 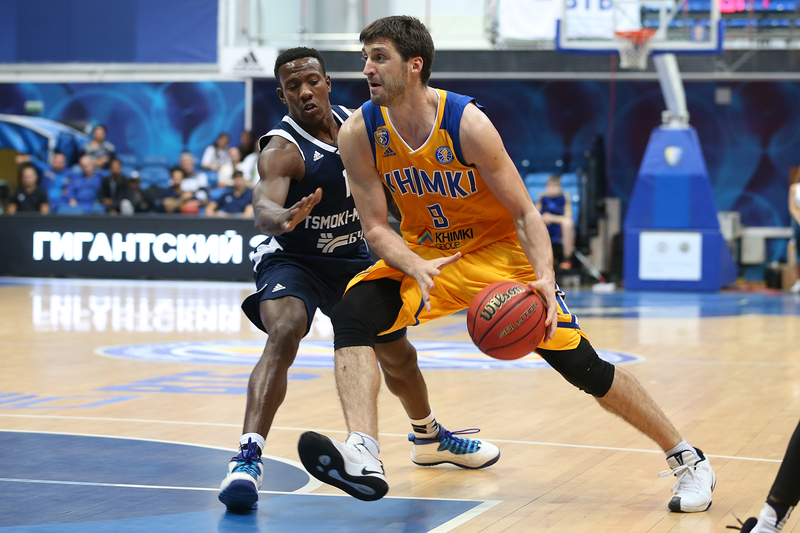 Khimki played Olympiacos on Thursday, for example, and only has a few days to prepare. But Tsmoki has its own problems to worry about, recently dropping into last place. The front office decided to take action, replacing head coach Aliaksandr Krutsikau with Rostislav Vergun, one of the youngest head coaches in League history and previously in charge of Tsmoki’s reserve team. Zenit: Zenit St. Petersburg and CSKA Moscow meet in the biggest game of the week. Joan Plaza would probably prefer to forget his debut as Zenit head coach (Khimki blew out St. Petersburg), but the team responded with back-to-back wins over PARMA and Nizhny Novgorod with nearly identical scores (107-78 and 103-78). But transitions are never a smooth, easy process, as evidenced by Zenit’s recent surprising setback to Andorra in the EuroCup, in which they only scored 71 points. Sergey Karasev’s injury in the game vs. Nizhny makes Plaza’s life even more complicated. He’s expected to miss a month and a half of action. CSKA: From a pure stats perspective, Zenit has little chance. The northern club has only won twice in nine meetings with CSKA, while the Army Men have outscored Zenit by an average of 16 points in those meetings. 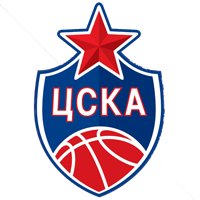 CSKA leads the League in multiple statistical categories and remains the only club without a single loss on the road. Fans should expect a high-scoring affair with both CSKA and Zenit ranking in the top three on offense. Not surprisingly, they also do a good job of sharing the ball, with these clubs averaging a combined 41.5 assists per game. 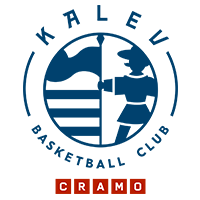 That said, the Army Men will have little time to prepare after playing Bayern in the EuroLeague on January 17 and may come out a little flat on the road.